All of our tools and education in one place. This Excel template is designed to help you put some organization and consistency around your event promotions. Use this calendar as a guide for each of your events to determine what kind of promotion you should do when. The sky's the limit when it comes to getting the word out about your event, but this promotion calendar will help you cover the basics. More seat time equals more attendees. But trying to come up with the ideal event schedule can take hours to build and be easy to make mistakes. Until now. 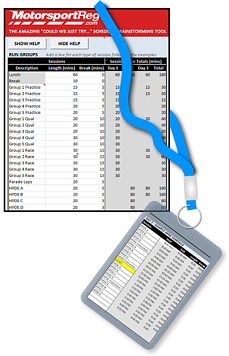 Our Event Schedule Builder is an Excel-based tool that's easy to use, prevents errors, and takes minutes to complete. 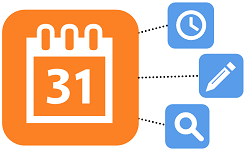 With a few key pieces of data, the tool will automatically generate your event schedule for any number of days. Our eBook walks you through all of the details of running a track event. You don't have to be a national organization, especially rich or well-connected. 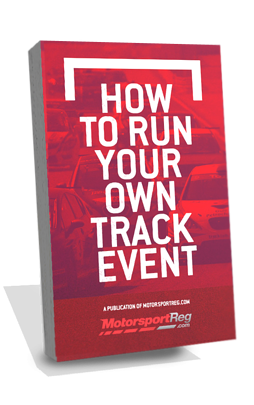 This eBook gives you a solid foundation on which to build and run a successful track event. Looking for more attendees at your events? In this webinar we'll provide you with 7 tangible things you can do TODAY that will help you fill your events. 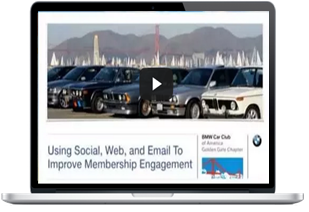 Jeff Cowan from the Golden Gate Chapter of BMW CCA shares how they transformed their club by using social media, web and email to improve membership engagement. 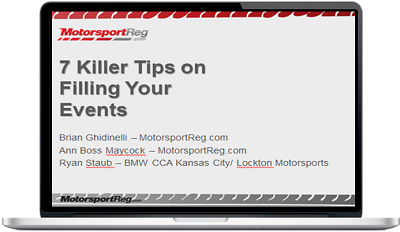 Want to help others experience the same thrill you get from high performance driving? 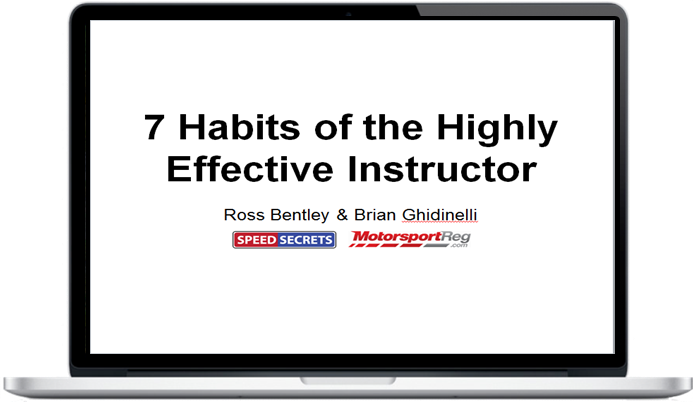 Listen in as Ross Bentley, driving coach, instructor and author of Brake, Brake, BRAKE: The HPDE Instructor Manifesto explains the 7 habits of highly effective driving instructors. 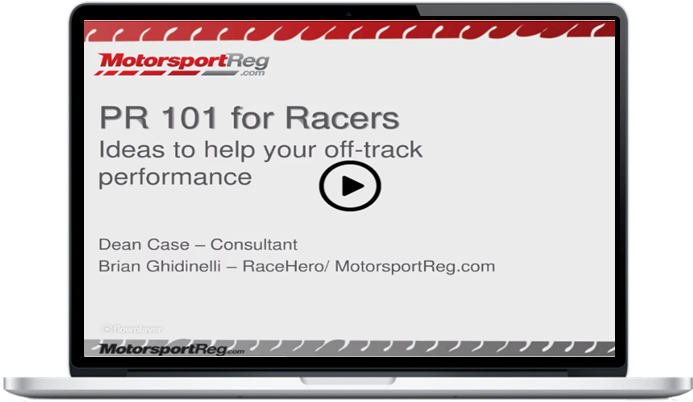 The most successful racers understand driving, technology and the business of motorsports. Listen in as Dean Case shares lessons from his tenure as MAZDASPEED's Communication Officer for promoting your racing (or club) away from the track.